Last week I wrote about how I personally elected to attend Lee in the ninth grade, explaining how I was not forced to go there because of where I lived. I realize many others in my class did not have the opportunity to make the same type of choice. Many of my soon-to-be classmates were required to attend Lee because their parents were relocated to Huntsville as part of the Space Race. They had no choice of which school they would attend or even in which town they would live. They did not love Huntsville the way I did. As for me, I came from deep roots in the Huntsville community. I am a fourth generation Huntsvillian. My great-grandfather and great-grandmother moved to the city in the late 1800’s and most of my ancestors worked in the early cotton mills which drew many job seekers. My grandfather was working at a mill when he met and married my grandmother and my mother was born in Huntsville in 1923. My brother and I were both born in the Huntsville Hospital, me in 1946. I lived in a town which I felt I belonged, and wanted the same feeling for the school I would attend. My academic road to Lee was not simple. When I entered the first grade, we lived in Redstone Park and my initial introduction to formal education was at Farley in the first grade. Back then I had never heard of pre-school and any form of kindergarten was reserved for rich folks. I remember getting out of school for cotton picking and shortly thereafter my family moved to Halsey Avenue and I transferred to Rison. Before the school year was over, my family moved again, this time to Huntsville Park, but I finished the school year at Rison by riding the city bus from West Huntsville to Rison each morning. Each afternoon I would get on the city bus and make the trip back across town. I was six at the time. The summer before I started the second grade we moved to East Clinton Street (our fourth move in a year) and I started my second year of school at East Clinton Elementary School. As earlier noted, I finished the second through the sixth grade there and the seventh and eighth grades at Huntsville Jr. High before we made the move to McCullough Avenue, via a short move to Hart Avenue, the summer before I entered the ninth grade. To remind you, I stand by my statement about wanting to go to Lee because I wanted to be a nobody. Though I made the statement I was "somebody" at Huntsville Jr. High (because I was known as “Don’s little brother”) there was one area in which I was still a nobody. That area was the social scene. I did not benefit socially from my brother’s fame, and in fact I never had a date nor can I recall a single girl I even had a crush on in the eighth grade when I was 13. I did not even know where to start to try to get a girl interested in me. I did go to a movie with one of my first cousins once, but it wasn't really a date. Most of my out of classroom contact with females my own age was at Central Presbyterian Church which I attended. Even there, I had no girlfriend, despite the Biblical passage of "love one another." I did start noticing girls in a different way though, but still not romantically. Oddly, that was not true about my interest in the girls I met who went to Lee. 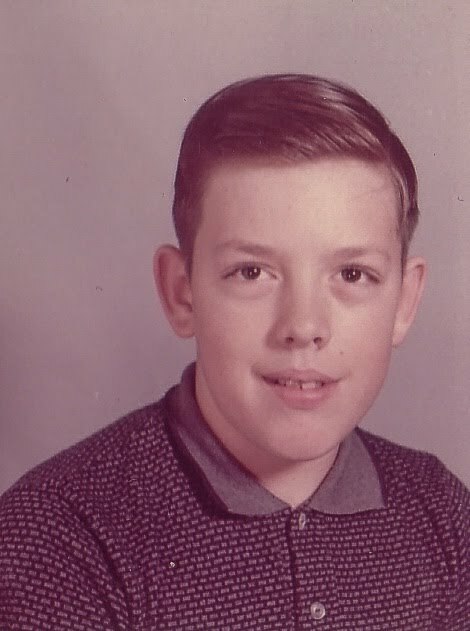 For a couple of years before I transferred to Lee Jr. High, I had been addicted to roller skating at Carter’s Skateland on Traylor Island. My very good friend, Mike Thompson, who lived up the street by East Clinton school, and I would often walk there on Friday and Saturday nights every week to skate. Though it now appears it was only a little over a mile walk, it seemed much longer back then, especially when you add in the discomfort of rain or shine travel conditions. One obstacle always in our way was Pinhook Creek which ran behind Carter's. To keep from having to walk all the way down the Parkway to get to the Traylor Island bridge, we played Lewis and Clark looking for a Northwest Passage to our destination. We finally found some old bridge posts sticking out of the water and with care we could jump from one post to the other to make it across the creek and walk through the field to the skating rink. More than once a bad hop from one of the post resulted in one or the other of us landing knee deep in the creek. When I started going skating, I was probably 12, and in the beginning I was more interested in the developing the skill of skating than I was in becoming social with the people around me. I started learning to skate by pulling myself around the rink with the aid of the cinder block walls and rails near the seating area. Though I fell constantly, I got up each time and tried again. I came home with dirty pants and more than once split the seat out of what I was wearing. Eventually I was able to venture out and stumble around the rink without falling. Skating did not come natural to me, but once I mastered the basic skill set I was able to quickly advance in mastering the sport. Puberty: ("the time of life in which the two sexes begin first to be acquainted" [Johnson], late 14c., from Old French puberté and directly from Latin pubertatem (nominative pubertas)) according to one dictionary definition. Another definition would be “the state to which Tommy Towery grew while participating in the process of learning to roller skate at Carter’s Skateland.” I began to notice girls and began to ask girls to skate. I also began to get crushes on girls, even though they were never aware of their attraction to me. What, you may ask, does this have to do with why I went to Lee Jr. High instead of continuing at Huntsville Jr. High? As I became a better skater I finally began to look forward to the "couples only" skate periods. Well, two of the girls I began to ask to skate, Barbara and Pam, both went to Lee. Though I never actually dated either one of them, I felt this desire to be around them. So, such feelings also influenced my thought process as a 14-year-old male. The picture above is my ninth grade school picture. This was the first year my school picture was made in color. I was not handsome as my brother was, and not even cute in my own mind. I look at this picture and have a hard time remembering being so young. In looking at all my school pictures, this one stands out as the only one I had made in which I was not sporting a crew cut. This was my Brylcreem year, "A little dab'll do you." Perhaps I wanted a new look for my new school. I don't know which bothers me more about that school picture - it being printed off-center or me having the top button of my shirt buttoned. Even with the Brylcreem I still did not look so debonair. I guess I was destined to be a nerd. My family and I had moved to McCullough Avenue, I remind you, and lived right next door to Ray Walker. We lived in an area which was on a bus route to get the students to school. I do not know how I learned where and when to catch the bus, but somehow I did and on the first day of class I waited across the street from my house and had my initial encounter with a group of nameless faces which would eventually become a major part of my growth to adulthood. I think I was told I was not standing at the proper bus stop, so the next day and each morning afterwards I would walk over to Ray’s house and catch it with him and a few others which I cannot recall. Maybe some remember if we had to pay a ten cent fare each day or if it was free to ride, but I do remember not making many stops between where we got on and our final destination of Lee. I cannot remember exactly where we got off the bus or re boarded it after school, but I think it was in the front of the building in the parking lot. Riding the bus got us to school much earlier than classes began, and so, on the very first day, I was introduced to the time honored tradition of "walking the halls" which circled the auditorium. I do not know in which grade my fellow ninth graders had begun this ritual, but I quickly adapted my own efforts into participation. One benefit of such constant circling was the ability to interact with the girls from the skating rink, even if it was only to say “hi!” as we passed. I also became aware of other females I had seen at Carters, such as Linda and Sherry. I cannot recall who my male friends were as I walked, but most of the boys I knew at Lee were acquaintances from Boy Scout Troop 66. This included Bob Ramsey and Don Cornelius, Johnny Carter and Jim Ramsey. Johnny was also a friend from Carter’s Skateland. Several other boys had been my classmates at East Clinton Elementary School. My homeroom teacher was Mrs. Jane Parks, a person whom I have often written about. I shall go into the schooldays as I remember them later, but will now skip ahead to the last school bell and my activities after school. When school let out I joined my fellow bus riders on the trip home. In my memories, the ride home was a different route that the ride to school, and I remember wandering around several neighborhoods dropping off classmates before we finally got to my stop. I think my bus continued up Monte Sano, but I can't be sure of where it went after I got off. My one major memory of the bus ride home is when some of the girls who rode it with me found out I was Don Towery’s brother. My secret was out! Several of them started hanging close with me to try to get an in with him, but their attention did me, nor them, any good. The rest of my normal school day was to head into the house and turn on the TV. This was the era of “American Bandstand” and my growing prowess on the skate floor made me yearn to develop similar skills on a dance floor. Each day my generation would watch new songs get rated and learn new dance crazes. I remember the three songs introduced each day and statements like “It has a good beat and is fun to dance to . . . I’d rate it a nine.” We also watched guest performers lip-sync to their latest songs. For this period in my life, my afternoons were spent alone, with just me and the television. Later my attention would move to the telephone, my first step into the social media world. Memphis, TN - I continue my look back upon Lee High School this week, in the continuation of the story started last week. I had many positive comments about the story and I hope some of you can relate to the tale which I continue. Many of these ideas were published in one way or another in A Million Tomorrows...Memories of the Class of '64 and most recently in When Our Hearts Were Young - Today 50 Years Ago. This series gives me an opportunity to be more specific in my association with Lee and many of you who are now my friends. I apologize if this line of stories sound too self-centered but I am trying to include the universal truths of all of us who lived a similar life. In this 1950 movie, Johnny Casar (Mickey Rooney) runs away from a home for wayward boys, tired of being teased about being short and a poor athlete. He soon finds a pair of roller skates and is befriended by Bruno Crystal (Ralph Dumke), who allows him to wash dishes at his café, while a priest who runs the home, Father O'Hara (Pat O'Brien), secretly keeps an eye on him. A traveling roller-skating team takes an interest in Johnny after he shows some aptitude. He clashes with Mack Miller (Glen Corbett), a cocky champion, and falls for Mary Reeves (Beverly Tyler), another top skater. Johnny ends up featured in grudge matches against Miller, where they take turns one-upping one another. It was sometime around 1958 when this movie made a major impact on my life. 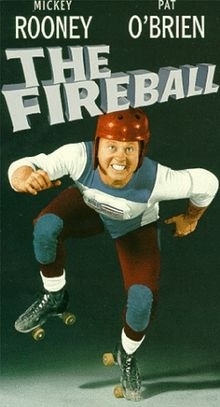 I saw it somewhere and decided I wanted to learn how to skate like Mickey Rooney did in the picture. I now wonder if I identified with the small frame of Mickey Rooney and how he found a sport in which he could excel despite his size. In retrospect, I think I probably did. Anyway, because of this movie I started going to Carter's Skateland; my first trip was on a Wednesday night when church groups often rented the building. I eventually achieved my goal of becoming a better than average skater, though I never skated competitively, and can still skate today. I remember I would skate around the rink thinking "I'm Fireball" and sometimes would say it to whoever I passed on the circuit. I also remember Mack Yates would tease me and call me "Butterball" rather than "Fireball." The nickname stayed with him and when I saw him at a reunion decades later, he walked up and said "How are you doing, Butterball?" I wonder if I did look like Mickey Rooney in the picture above. The movie never won any award and today it seems a little cheezy, but to me it was an inspiration to set a goal and work hard to achieve that goal. Enjoyed the article. I remember the good times from Lee also. I also know someone that doesn't want to participate in reunions etc., to my surprise as I thought they enjoyed Lee. I would love to be able to attend a reunion but due to distance am unable. 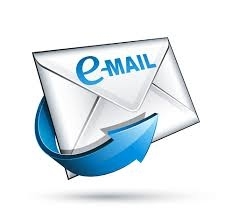 Keep up the good work with the newsletter. Hopefully I will be able to have a trip back to Huntsville within the next few years. Another great Traveller! I will think back on my time at Lee and maybe come up with an article for a later date. Thanks, Tommy! I love the new series about memories from Lee.. and I also love the format. You left us hanging and I can't wait for the rest of the story (Paul Jr.). Great piece in the Traveller this week on why LHS means more to some folks than others. The video below was forwarded to me by a friend and it seems to sum up the aging process. Appreciate you more than I can express. I'm sorry I don't get to write you every week, but I read each week's newsletter - look forward to it - and often gain a nugget of humor, insight or am reminded of a truly special time in our years at Lee. As a young child, I went to East Clinton (which I should have gone to Lincoln, since I lived 2 blocks away -- and if the restrictions were are such as they are today, I would have had no choice. My parents wanted me to have a fresh start as well --- since I'd had 4 older siblings at Lincoln--many years earlier. I enjoyed East Clinton, the May Day celebrations, and meeting folks outside my regular circle of friendship. In 3rd grade tho' I was ready to go to Lincoln. It would be easier just to walk to school and to be in school with some of my church friends. So, all the way through 6th grade I was at Lincoln - and - only a few of the teachers knew my siblings, so that was no issue. It was at Lincoln, in the 5th grade that SaraJane Steigerwald moved to Huntsville. Her family came as a result of the growth boom we were having - going from Mill Villages to the Space Industry. Our teacher, Mrs. Nelson, asked me to be Sarajane's "big sister." We became neat friends, which to this day, I believe we still are, and will always cherish those early, simpler years of school and friendship. Lots more to tell about our friendship - but time doesn't allow.... Still love that gal today!!! Suddenly 6th grade was over --- and LEE high welcomed us as little ol' measly 7th graders. BUT we walked the halls like everyone else and had NO idea of all the wonderful things we would encounter because of Lee High School (and beyond). All the way through our Senior Year we went. The first few months of being seniors were weird, because you all had graduated as the 1st class -- and now we were left to carry on our traditions already set in place, and to begin New Ones. Being a young school was really awesome - we had the privilege to develop our own traditions! Some worked, others fell by the wayside. But like you, I can't imagine anyone not enjoying those carefree days of JOY - and knowing our teachers really cared for our well-being. The school-plays and choir "were my thang" - and I have fond memories of those times. NOW - however, enjoying writing like I do, I wish I could've been part of the yearbook staff. But back then, I didn't have any confidence. Do you remember the weekly newsletters -- or for better words, a gossip paper? Haaaa. How innocent they seemed. I found one a while back and got a kick out of reading it. Some of those "prophecies" came true! Well - I've gone on enough. Just wanted to thank you for everything you to do keep us connected --- after ALL these years. What determination and dedication you have, Tommy. Keep the Fam-i-Lee Spirit alive -- and maybe some of us lazy alumni will begin to contribute and help you out. I found your recent article about your experience at Lee to be fascinating. At a time when most teenagers are more interested in fitting in and continuing their relationships with school friends, you took the very unusual and brave step of deliberately making yourself “a stranger in a strange land.” I admit I had never thought before of your appearance at Lee in the ninth grade, even though we had known each other slightly at East Clinton. I started at Lee in the seventh grade, and people came and went with uncommon frequency in those early years of Lee’s evolution. I have an annual from the seventh grade and comparing it to the class pictures in 1964 Silver Sabre reveals two very different cohorts. You and I never came in contact much in our years at Lee, and our mutual past and our path to Lee just never got discussed. So your origin story comes as a revelation to me and probably to many of The Traveller’s readers. I too have an older brother, but he’s six years older than me, so stepping out of his shadow took a different path and form than did yours. The end result, when it comes, hopefully brings brotherly harmony, but it usually means one brother is very different from the other. And that’s all to the good. You write that your story is “to be continued.” I look forward to the next chapter or chapters.